Whey is actually so common that you have probably been using it since childhood! whey protein is a liquid residue created as a by product of cheese production. It is highly recommended by nutritionists as it contains all 9 essential amino acids & is low in lactose content. Besides, it can easily be found at your local grocery store. Ever seen a clear liquid floating on the top of yogurt? That’s whey. 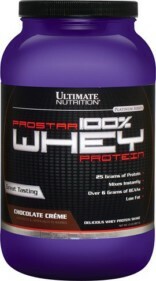 Food items containing whey protein includes cow milk, goat milk, yogurt, ricotta cheese, and protein powders. You may hesitate at the mention of goat milk, but it contains highest level of whey and is also gets easily digested in the human body and does not cause any gastrointestinal discomfort or allergic reactions in an individual. When milk is curdled & strained during the production of cheese, the liquid that remains behind is whey. After getting ejected of fat, it is then processed for the human consumption. Being a cheese by-product, it is in the high regards of the vegetarians all over the world. 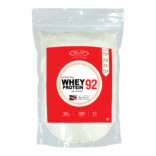 Whey protein typically comes in three major forms: concentrates, isolates, hydrolysates. 1) Concentrates : WPC contains low levels of fat & lactose. The percentage of protein in WPC depends on how concentrated it is. Lower end concentrates tend to have 30% protein and higher end up to 90%. 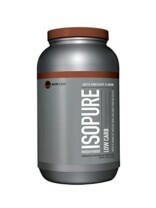 2) Isolates : WPIs are further processed to remove all the fat and lactose. WPI is usually at least 90% protein. 3) Hydrolysates : WPH has undergone the process of partial hydrolysis, therefore it is most easily digestible & regularly used in medicines and health supplements. 4) Lowers blood pressure & risk of cardiovascular disease. 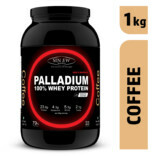 Body builders and athletes are advised the regular consumption of whey protein as it promotes a steady growth of muscles which augments the process of muscle rejuvenation. By keeping the diseases at bay, whey protein complements not only muscle growth but also the overall health of the individual. 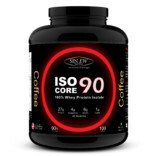 The best way to ingest whey protein powder is in the form of a shake. Those who are looking to lose weight can replace a meal with this easy to make whey protein shake. 1) First of all consult your dietician/physician as to how much amount of whey protein powder you should consume. It varies with lifestyle, age, and hormonal profile. 2) Then mix that calculated portion of whey protein powder with water, milk or juice. 3) Use a plastic shaker bottle or a blender to mix the powder. 4) Shake well until smooth. 5) Add ice cubes, and voila! The healthy shake is yours to have. There are other ways to add whey protein powder to you daily diet. 1) Prepare a shake as above but also add some yogurt to it, and have it 30 minutes before workout. 2) Prepare a shake as above but add honey and quick oats, and drink it within 20 minutes of your exercising. 3) You can also add whey protein powder to your breakfast cereal. Mix it with a spoon and eat it immediately. 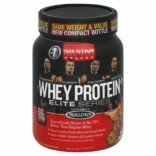 4) Or sprinkle some whey protein powder on food that is the last meal of day. 1. Sinew Nutrition Whey Protein- Sinew Nutrition Whey Protein Instantised, flavoured & Unflavoured is produced in UNITED STATES via proprietary filtration process that concentrates native whey proteins in a highly purified form. 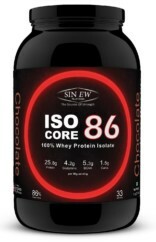 Sinew’s goal is to ensure that our whey products work well in as many specific applications as possible. To accomplish this, we utilize an advanced filtration system that processes the incoming whey in a gentle fashion to prevent the protein structure from becoming denatured. 2. 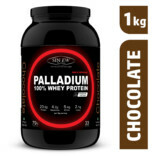 ON Whey Protein- ON Gold Standard 100% Whey Protein 2 lb Rocky Road is a rich quality protein, which contains whey protein isolate. 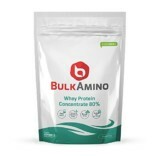 When consumed, this ultra-filtered whey protein concentrate will aid to provide high amount of protein per serving and aids you to build muscles fast and recover rapidly after a rigorous workout session. 3. Sinew Raw Whey Protein – Sinew Nutrition Raw Whey Protein Isolate, Unflavoured is produced in UNITED STATES via proprietary filtration process that concentrates native whey proteins in a highly purified form.It is MADE FROM AMERICAN WHEY PROTEIN ISOLATE, 100% WHEY, Gluten-free, Non-GMO, cold-processed, It is the purest form of protein, hence contains no artificial sweetners or flavors. 4. Muscle Blaze Whey Isolate- Muscle Blaze Whey Isolate with 100% pure whey may encourage you to take a second chance rather than giving up on your goals. This supplement helps you in enhancing the growth of your muscles and eliminates the unwanted fats from your body.